SuperTuxKart's story mode has replaced the previous challenge system in version 0.8, introducing an overworld where the player can drive freely between challenges. This was in 2012, and since then, it had not evolved much. New and better tracks have regularly been replacing old ones. There have been balance changes to have a more consistent difficulty level. But it fundamentally stayed the same. In the next version, the current overworld will remain. Bringing a fully new one, up to par in quality with the latest tracks and making it easier to extend, is a huge undertaking. It will happen, but later. There are, however, several exciting changes ! The most important one, long clamored for, is the introduction of SuperTux challenges. Once you've unlocked the SuperTux difficulty, you will have access to an additional difficulty level for challenges. Previously, the SuperTux difficulty was unlocked by finishing the story mode, no matter the difficulty you played at. 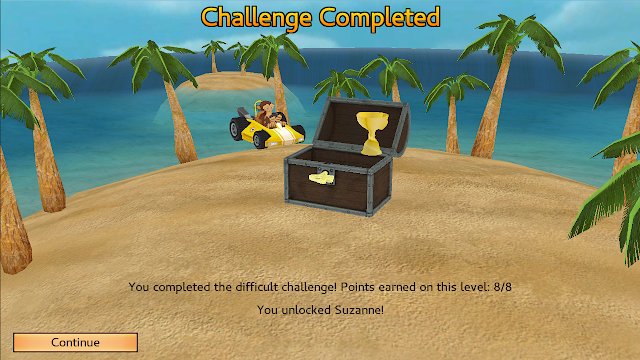 Now, the main way is to get a good number of gold and silver cups to have enough points to unlock it. With stronger AIs, and more challenging time requirements, the SuperTux challenges will put your driving skills to the test. Challenges in other difficulties mostly drop time requirements : you need to beat the AIs instead. The main exception are the challenges based on time-trial. Another major change is an increase across the board of the number of AI karts to race against in challenges. 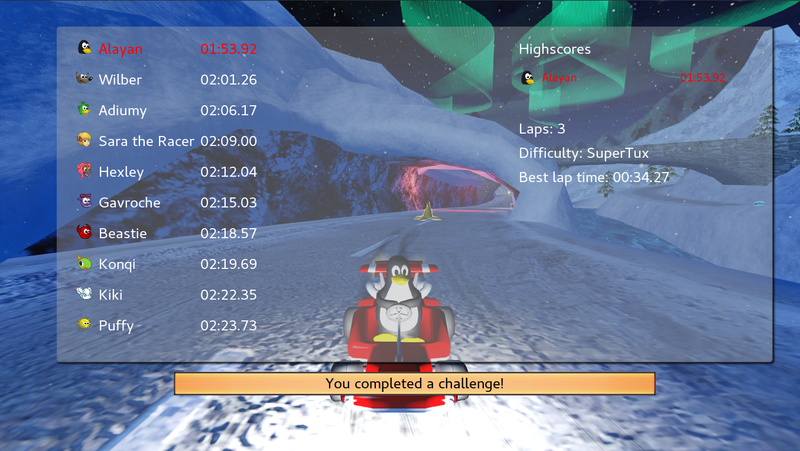 In SuperTuxKart 0.9.3, races mostly had a total of 3 to 5 karts, including yours. 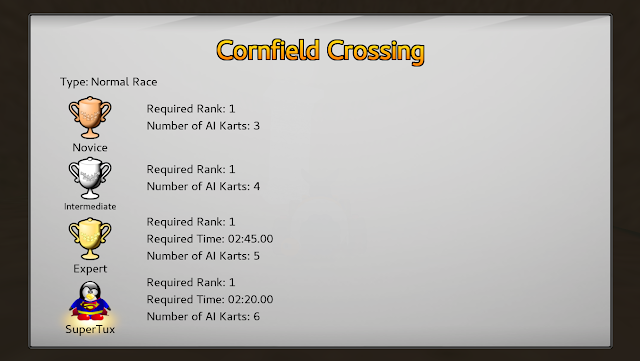 Now, and with some exceptions like the final race, the challenges will put you in 4 to 10 karts races. The number of opponents increases from the early challenges to those before the final confrontation with Nolok, ranging from 4 to 7 in Novice difficulty to 7 to 10 in SuperTux difficulty. The GP challenges give three times as many points as single race challenges, instead of the same amount in 0.9.3. The follow-the-leader challenge has been removed. It was very random, and didn't allow the player to make a difference by driving better as the speed of the leader was the limiting factor. FTL has been improved for the next version, but not enough yet. Some more tracks are unlocked from the beginning of the game. But there are more karts to unlock : some of them can be obtained by completing a specific challenge, some others by attaining a total of points. One of them requires completing some SuperTux challenges. The story mode now features a ghost replay challenge, where you're tasked to beat the time of a pre-recorded replay. The higher difficulties one can help you to learn how to drive better by showing you trajectories and how to make good use of skidding and nitro. The chest unlock cutscene has been improved : now, it will show you karts you unlocked, and elements are better centered. The tracks in GPs have been revised, in order to have easier tracks in earlier GPs and harder tracks in later ones. The last GP do not include Fort Magma anymore, fixing two issues which could occur : the last GP having only 4 races, or the possibility to race in Fort Magma before the final challenge. Instead, Candela City, which didn't appear in any GP in 0.9.3, is now featured in one. In higher difficulty GP challenges, finishing 2nd or 3rd will award a cup of an easier difficulty. 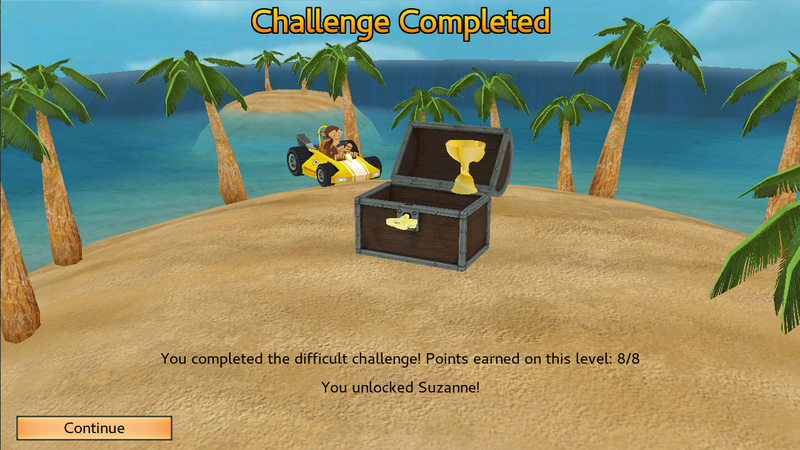 For example, being 2nd in an expert GP challenge will give a silver cup, while being 1st still gives a gold cup. The possibility to access the final challenge earlier than intended ("gate skip") has been patched. The nitro challenges now use the time-trial mode as a base, giving zippers at the start rather than mostly useless random items in the gift boxes. Bugs which could cause the game to return to the single player screen after the end of a challenge race have been fixed. Nearly one year after the 0.9.3 release we are getting ready for the next release. 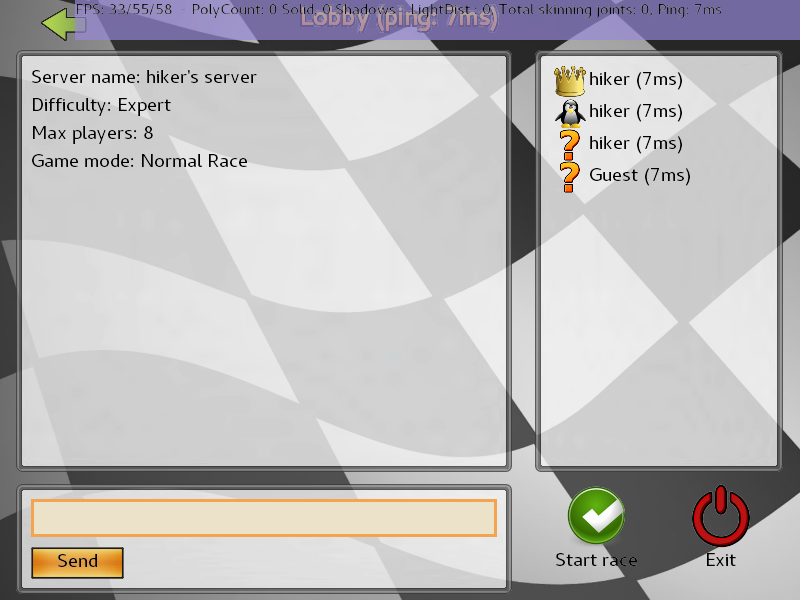 And as many might know, we have actually been very busy working on the network implementation to allow online races. As expected, this has taken a lot of time, but we have finally reached a stage that we need more testing. For now we call this an alpha test, since there are still some known bugs and some polishing is required as well, but nothing that should affect the actual network race at this stage. De facto, we have been doing alpha tests with visitors on our IRC channel for some weeks now, so we actually do not expect any major bugs anymore. 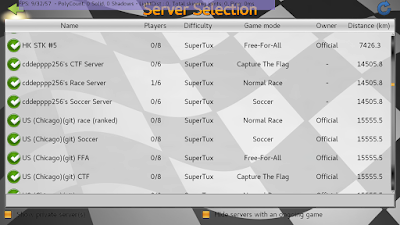 We are looking for people who can compile SuperTuxKart following our instructions themselves. You don't need to be able to program in C++ or anything. The main reason for asking you to compile yourself is that if a bug should occur, we can work with you to help us finding the bug. We are at the same time busy on working on a beta release (or even release candidate?? ), for which we will obviously provide binaries/installers for all common platforms. We actually don't expect this to be too far away ... fingers crossed. 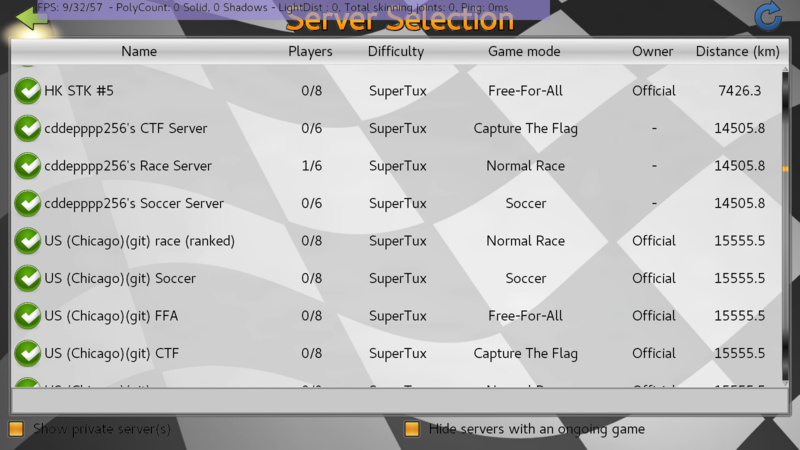 We have over 20 servers running by volunteers (in Hongkong, Chicago, Netherlands, and some other locations) for the various game modes that we support, which includes normal race, time trial, battle mode, soccer and the new capture-the-flag and free-for-all modes. So, if you are able and willing to compile SuperTuxKart from git, follow the instructions but switch to the stable branch 'network' first. Also make sure to compile in release mode, debug mode is often too slow for the networking. 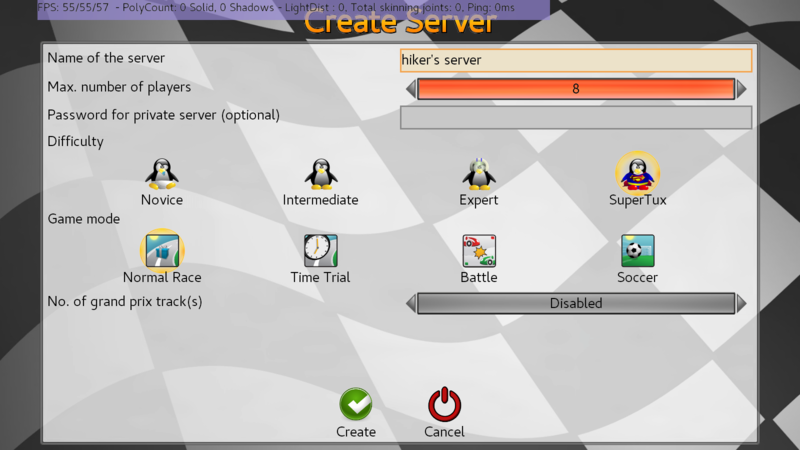 Create an online account in STK, head for the online section and search for a server with a reasonable distance to you. If you connect to the server, the ping to that server will be shown - we would recommend to stay with servers that have a ping of under 100 ms. You can try servers with higher latency, and it should still work, but you might notice more often that karts stutter or are 'teleported' around. 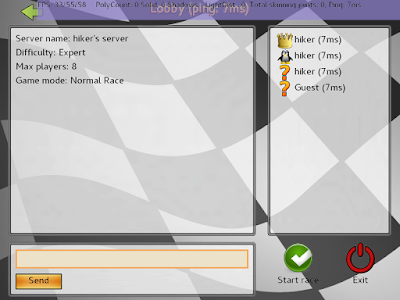 Or create your own server and ask some friend to join, or head to our IRC channel #supertuxkart on the FreeNode network to ask for some people to join. We are also interested in getting some people to run some additional servers around the world, to offer a better ping for users. An STK server can even run on a Raspberry Pi 3. You can find instructions on network configuration in the file NETWORK.md (latest version here), but feel free to contact us if you have questions. We would appreciate your feedback - especially how responsive and satisfying the race was, and what ping you had to the server you were using. Please provide feedback either in our forum, on our IRC channel, and file bug reports in our issue tracker. While this is happening, we will work on the important outstanding issues, and prepare a beta release which will of course include pre-compiled binaries and installer. Our main focus will be the interface, some physics issues, and other bug fixes. We are also interested to support playing with higher latency - but realistically there is only so much you can do if you will only know that a kart turned 600 ms after it happened (if both you and the other person have to wait 300 ms for a message to or from the server). 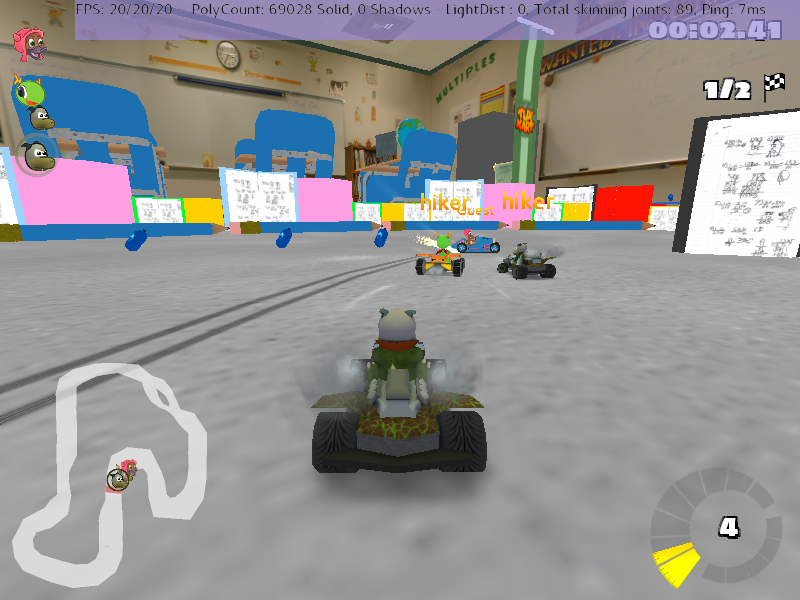 In 600 ms a kart at high speed will have traveled over 13 meters. But we still have a few things to try out and improve on.